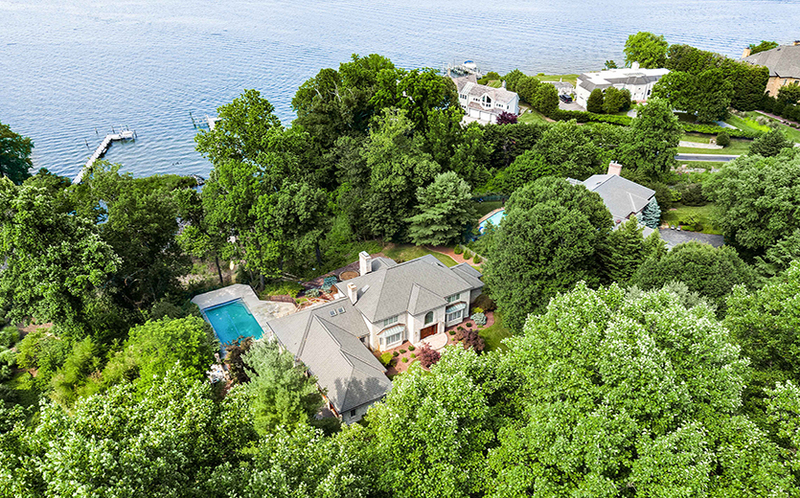 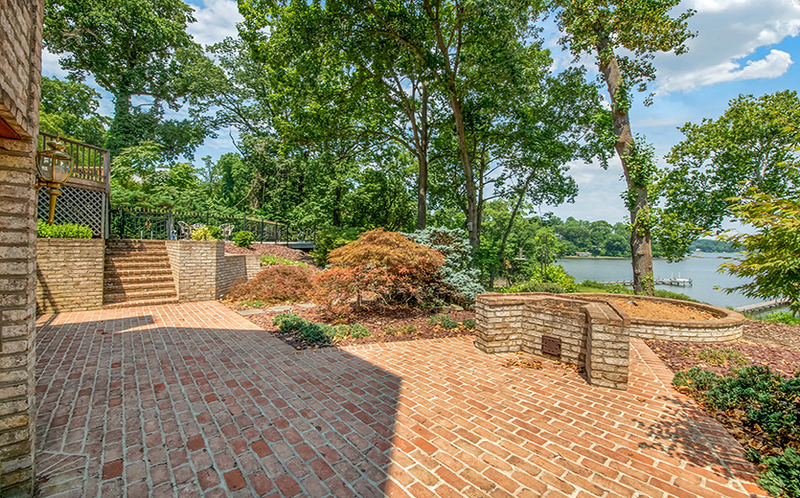 826 Coachway, located in the desirable Annapolis community of Downs on the Severn, is a striking, all brick home overlooking the Severn River. 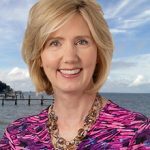 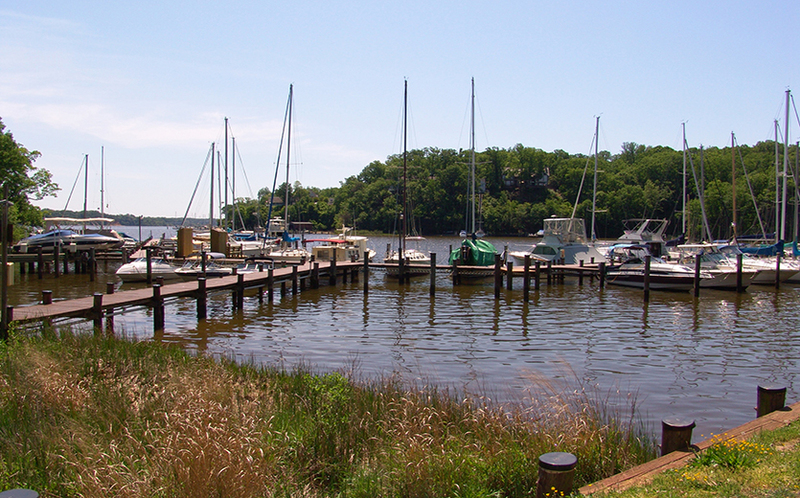 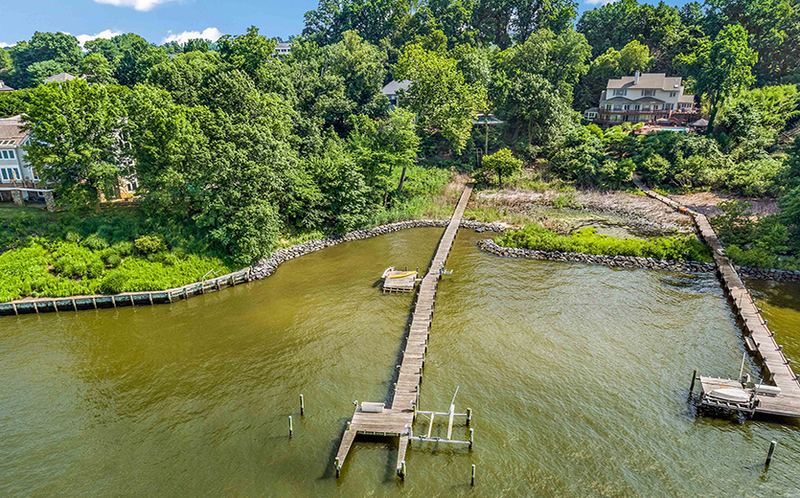 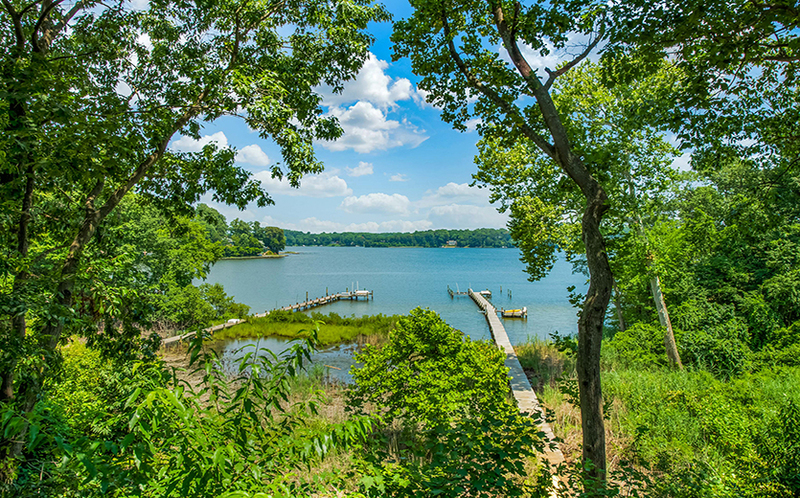 It is just a short boat ride or drive to downtown Annapolis, and right around the corner from your private pier is Brewer Creek, a protected waterway perfect for kayaking or paddle-boarding. 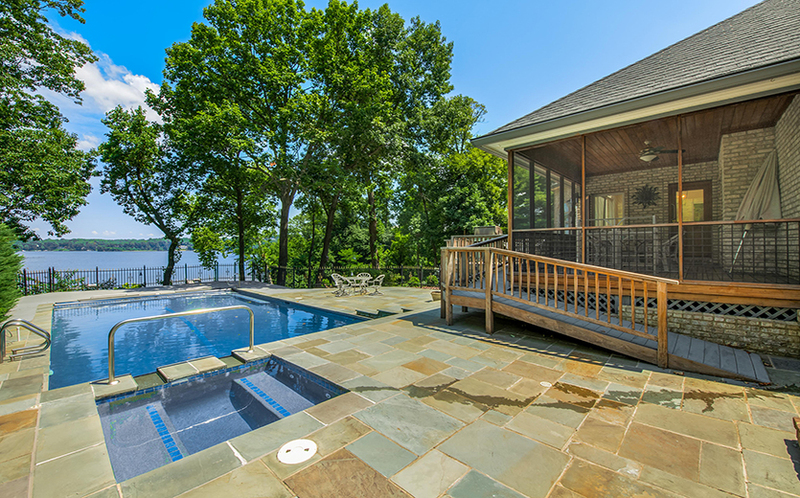 This stately home is situated on nearly two acres with mature landscaping for privacy, and a beautiful waterside pool with a spa and extensive decking. 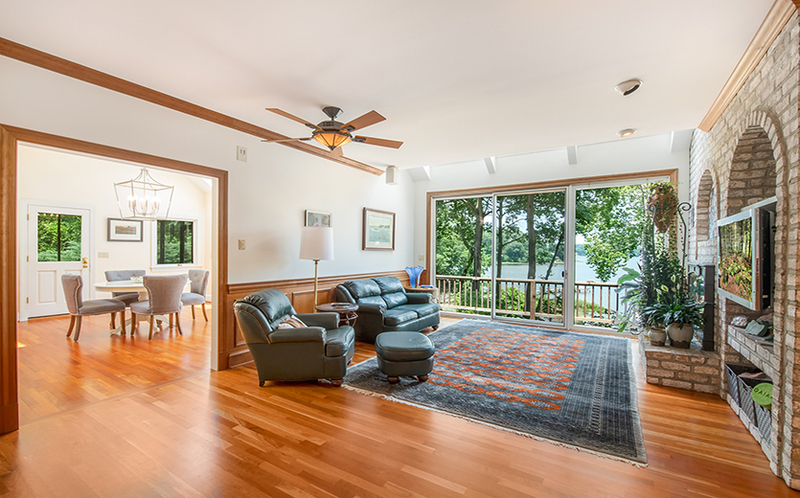 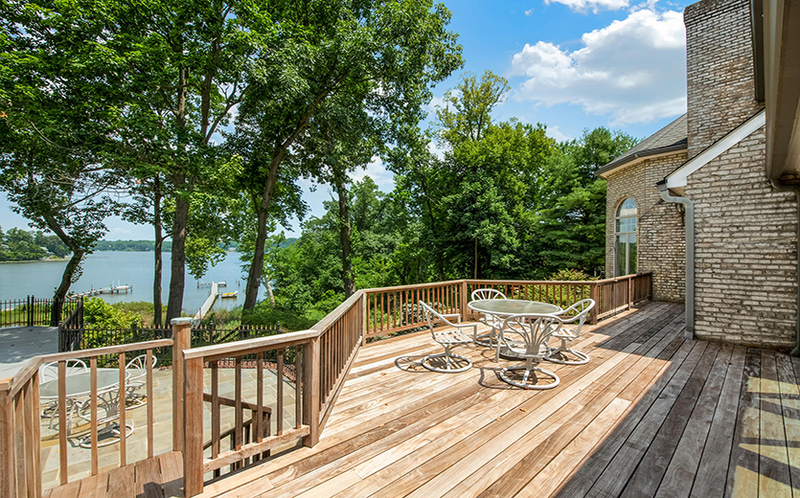 Step inside the grand, two-story foyer and gaze through the living room right out across the Severn River. 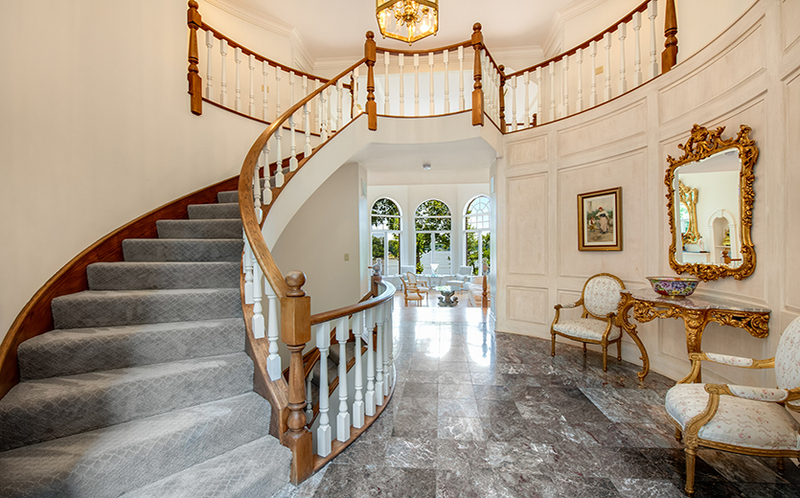 The curved staircase and marble floors convey the abundant elegance that this home offers. 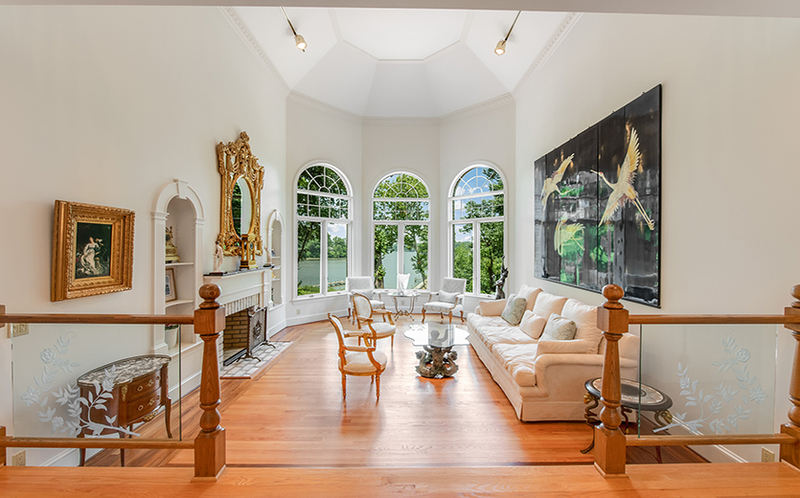 Straight ahead, the formal living room has a two-story ceiling and large, arched windows that overlook the water. 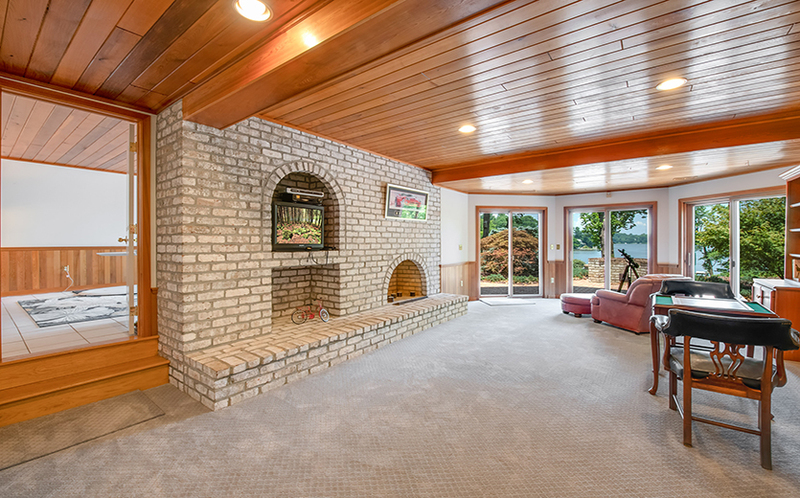 A wood-burning fireplace is flanked by built-in, arched shelves with beautiful trim. 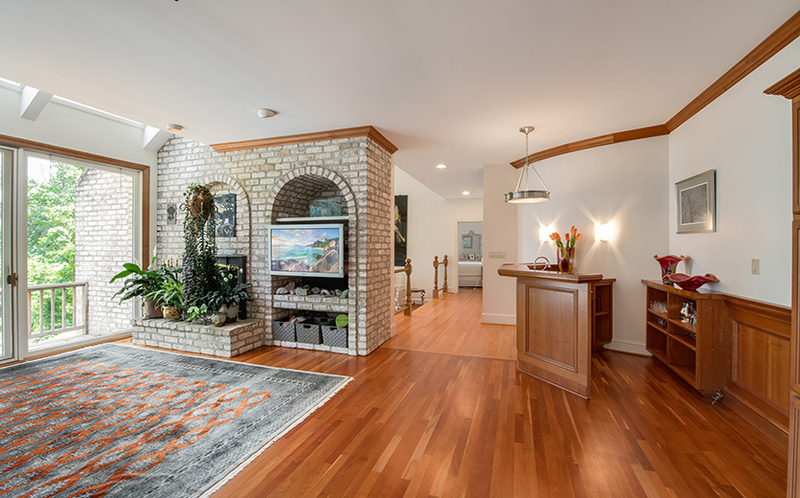 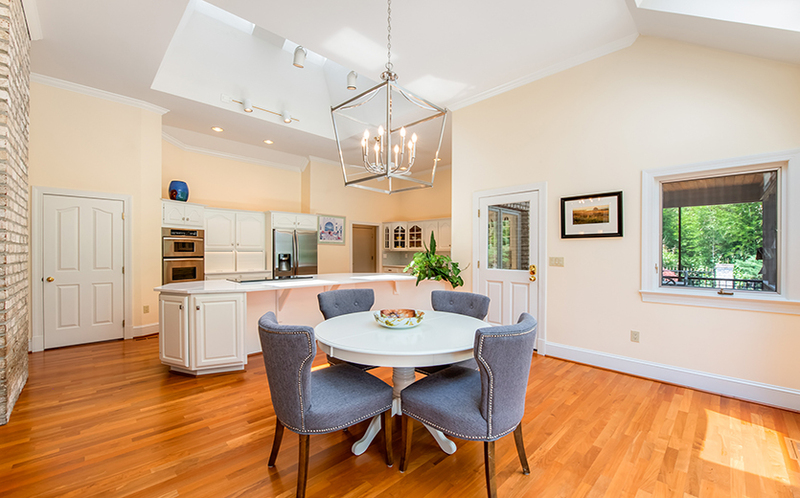 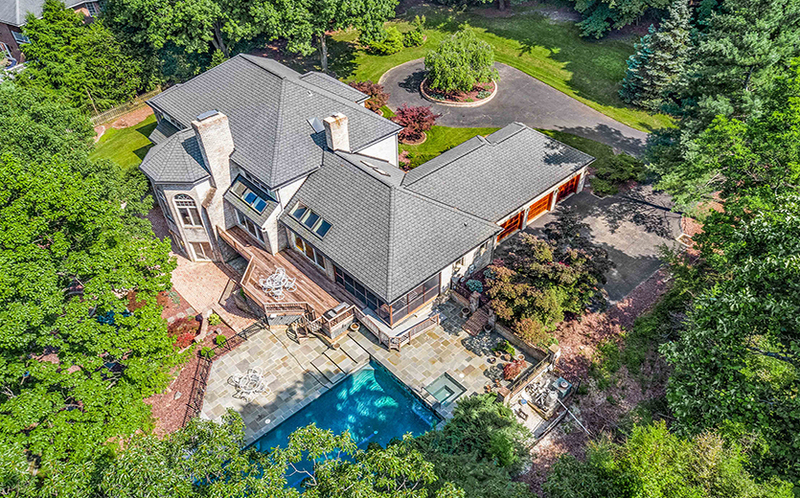 Around the corner, the family room has Brazilian cherry wood floors, a brick-surround wood-burning fireplace, and a wet bar with an icemaker and refrigerator. 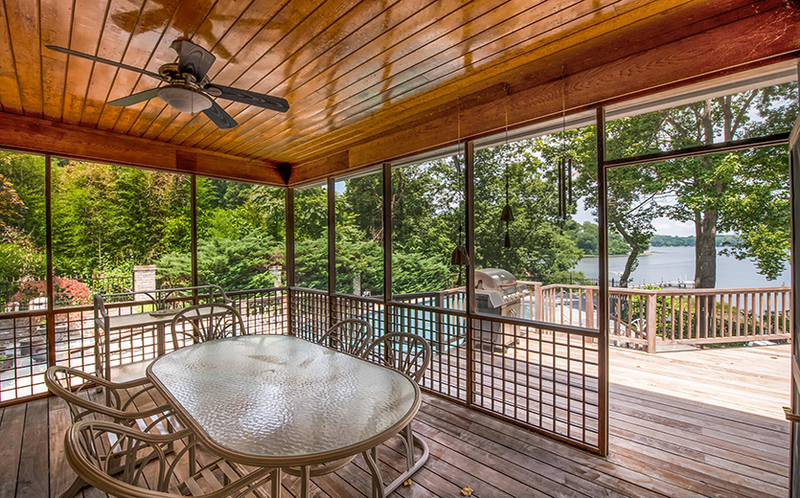 From this room, you can access the waterside deck through the sliding glass doors. 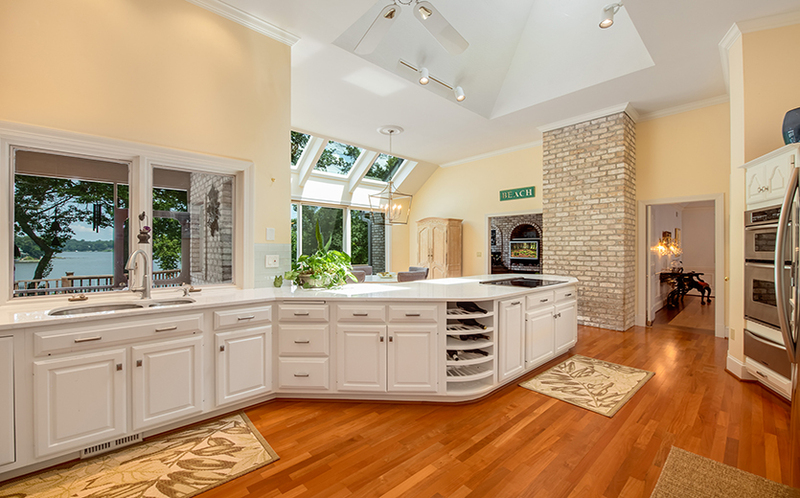 Through the family room, the gourmet kitchen has white quartz countertops, built-in wine storage, and solid wood cabinets that offer an abundance of space. 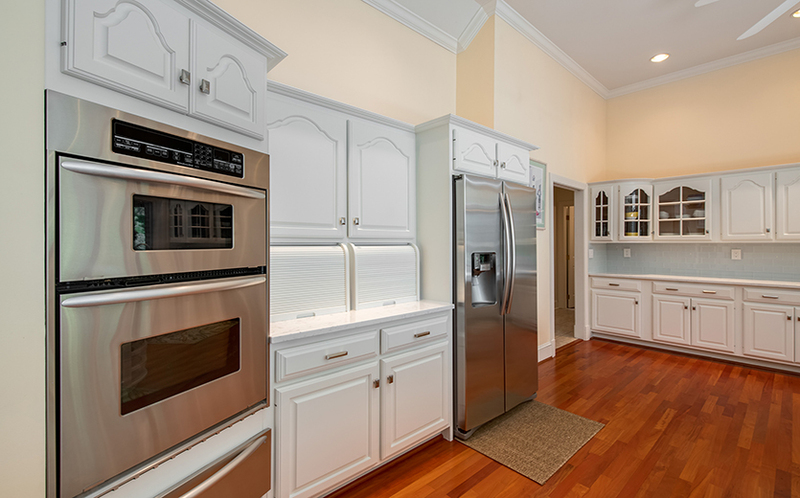 The stainless steel Kitchen Aid appliances include a convection oven and a warming drawer, and the Dacor downdraft cooktop has 5 burners. 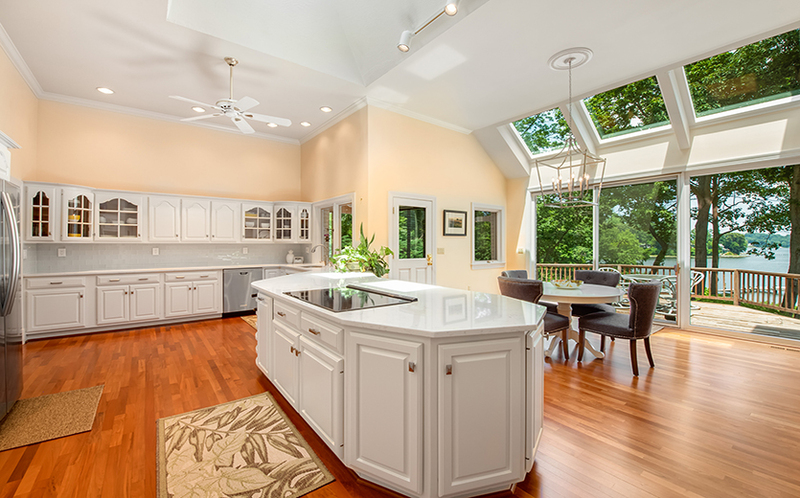 The kitchen is flooded with natural light from a wall of sliding glass doors to the deck, and three skylights over the informal dining area. 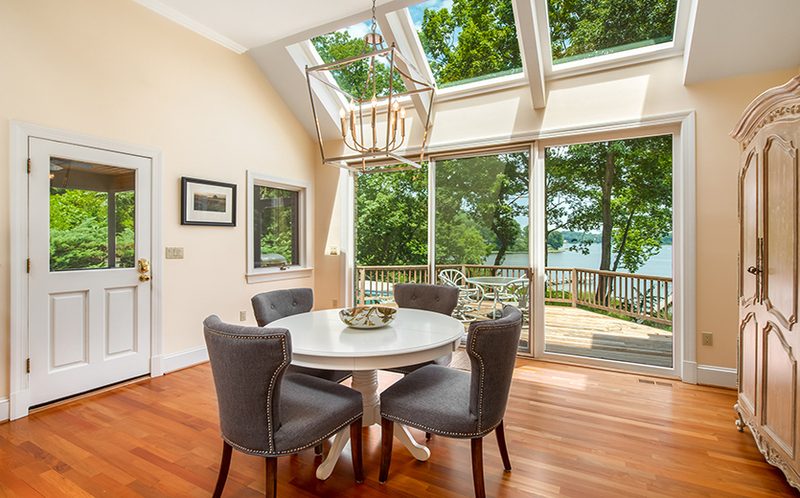 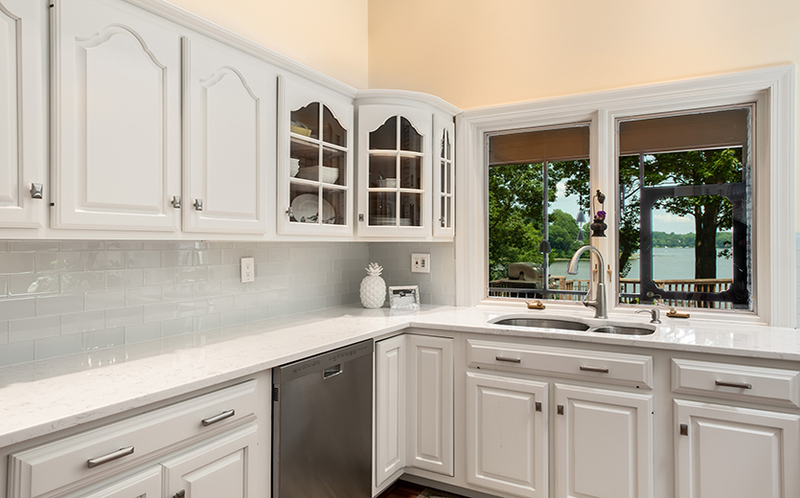 From the kitchen you have direct access to the screened porch; a perfect spot for outdoor dining while enjoying the tranquil water views. 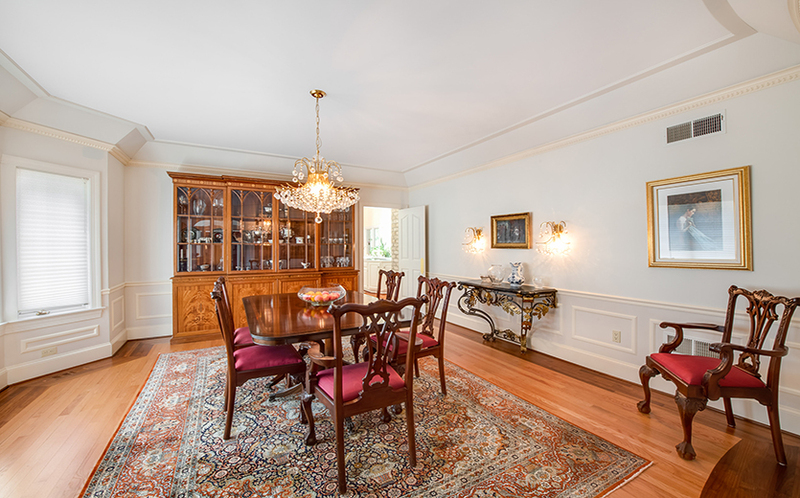 The formal dining room has beautifully designed floors, elegant wainscoting, and crown molding. 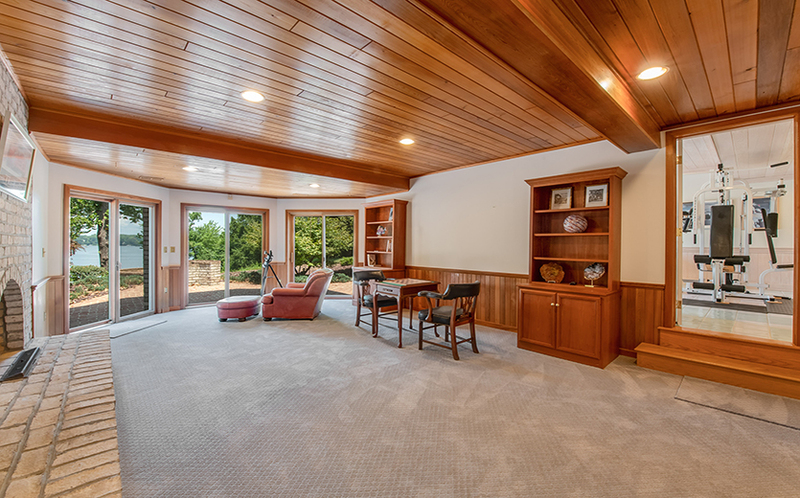 On the other side of the foyer, a warm, wood paneled library has built-in shelves and cabinetry. 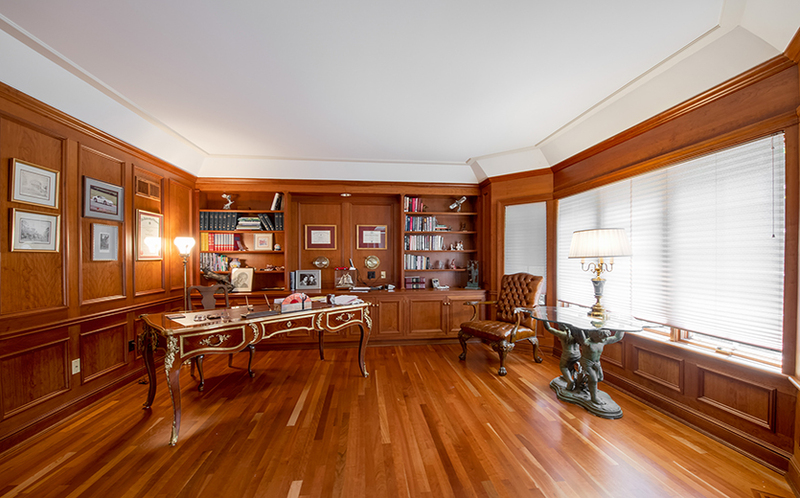 There is a full bathroom attached to the library, so this room could easily be used as a main-level guest suite. 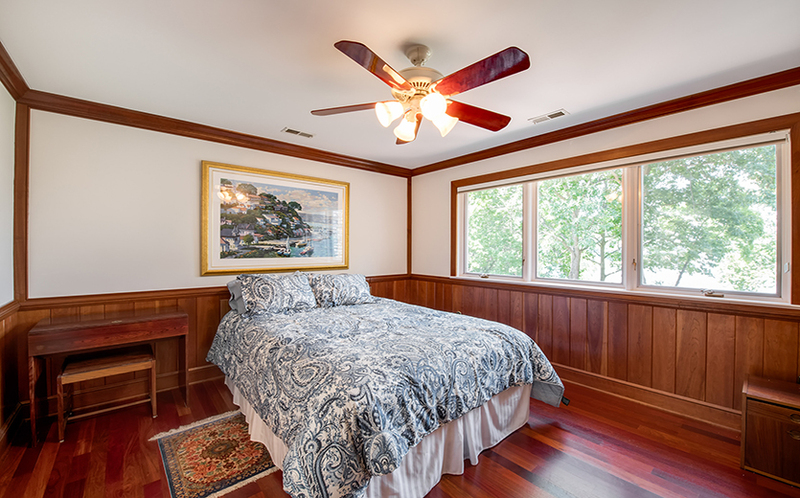 The main level master suite has beautiful hardwood floors and a wall of sliding glass doors that open to a water side balcony. 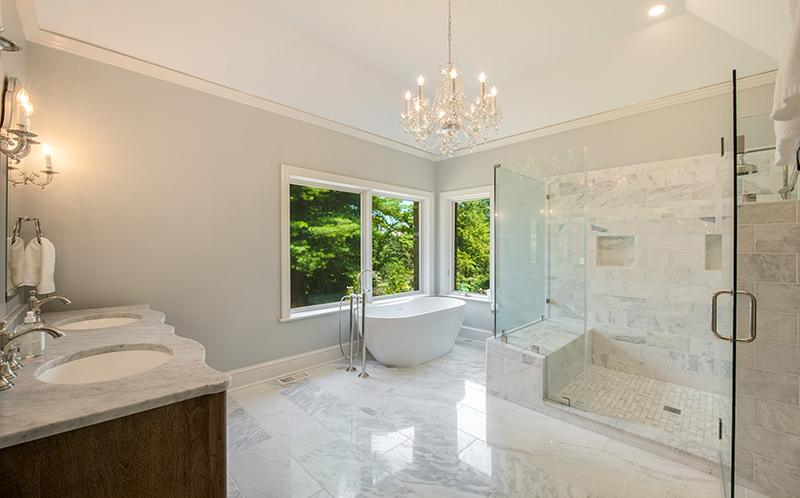 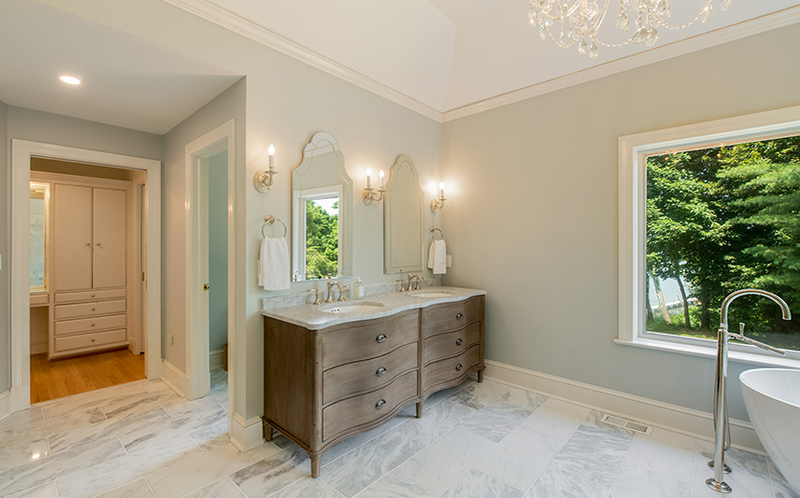 The just remodeled master bathroom feels like a luxurious spa, with marble floors, a marble vanity with two sinks, a soaking tub with water views, and a separate, oversized shower. 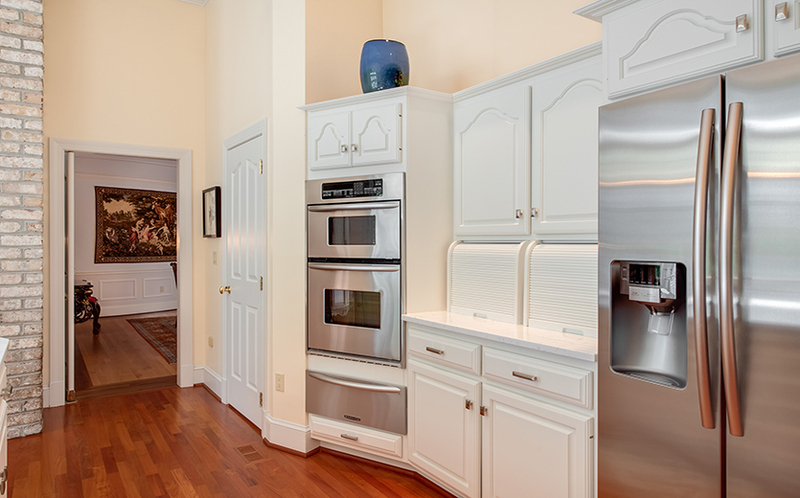 A huge walk-in closet has built-in shelves and cabinets. 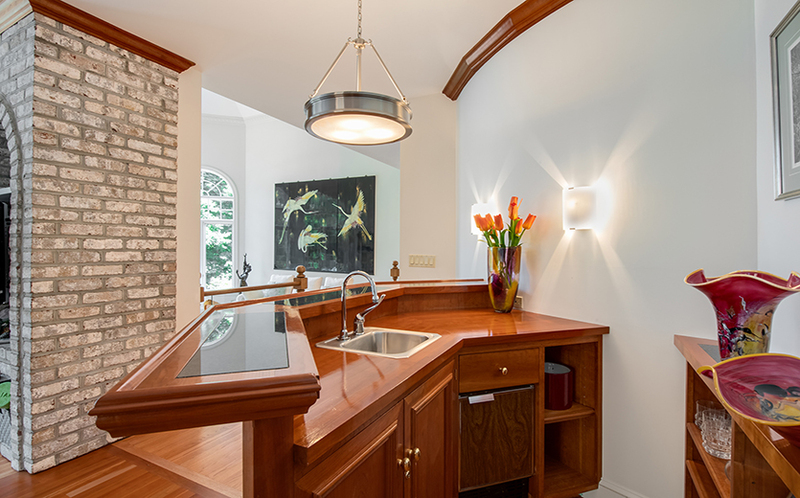 There’s also a laundry room with built-in cabinets and a deep wash bin on this level. 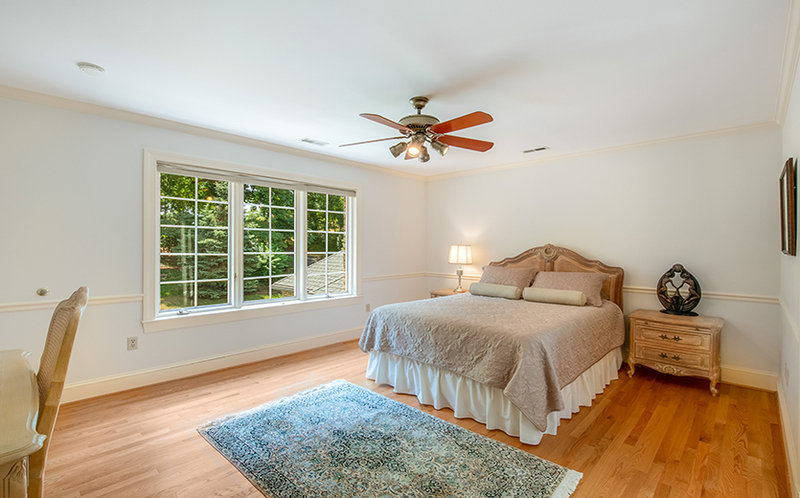 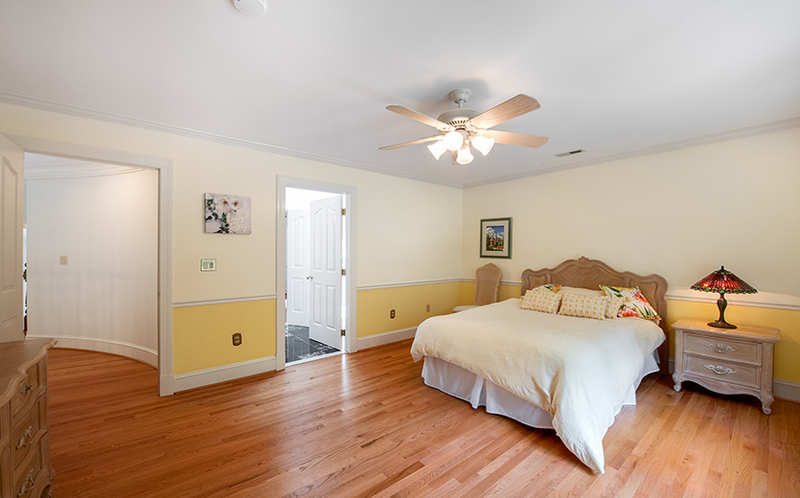 Upstairs, there are four additional bedrooms, all with wood floors and large closets. 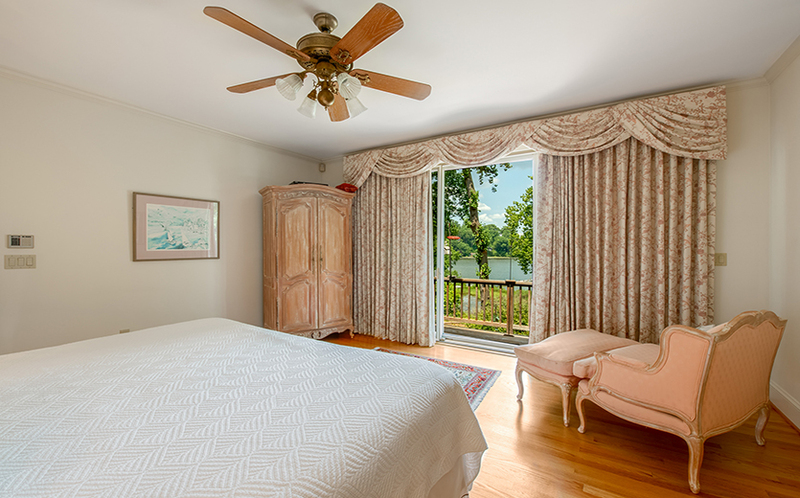 Two of the bedrooms overlook the water and two overlook the garden. 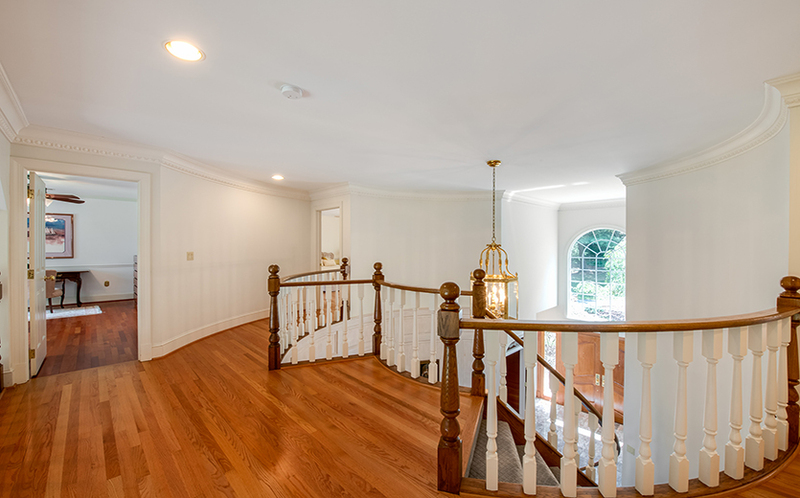 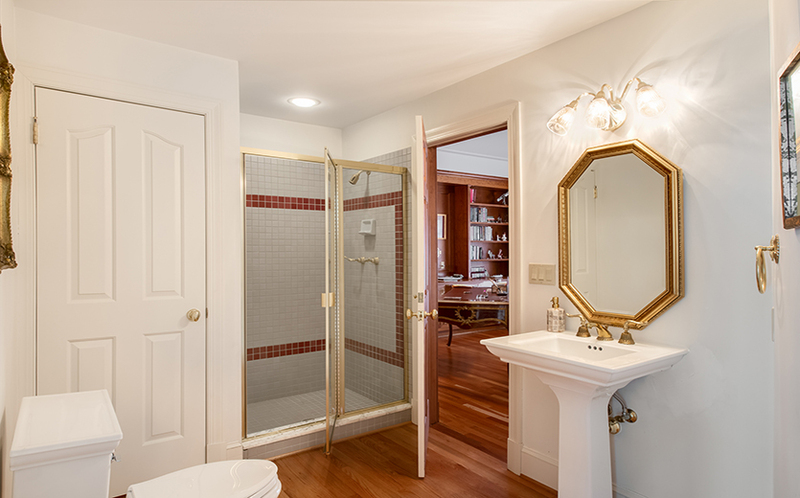 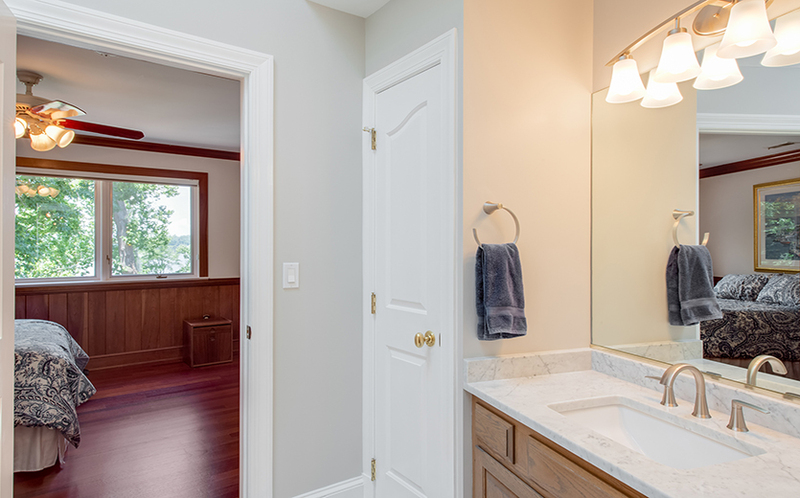 The two bedrooms to the left of the staircase share a remodeled Jack-and-Jill bathroom; the two bedrooms on the right also share a remodeled Jack-and-Jill bathroom. 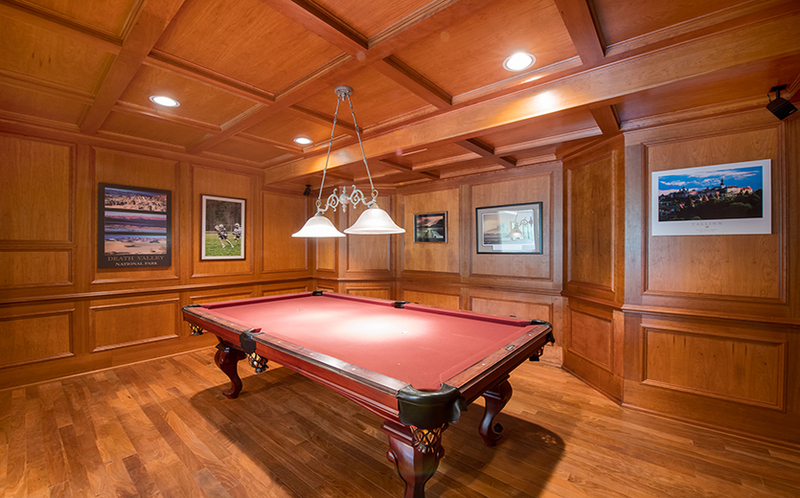 The fully finished, walk-out lower level has an elegant, wood paneled billiard room, an exercise room, and a game room with a wood-burning fireplace. 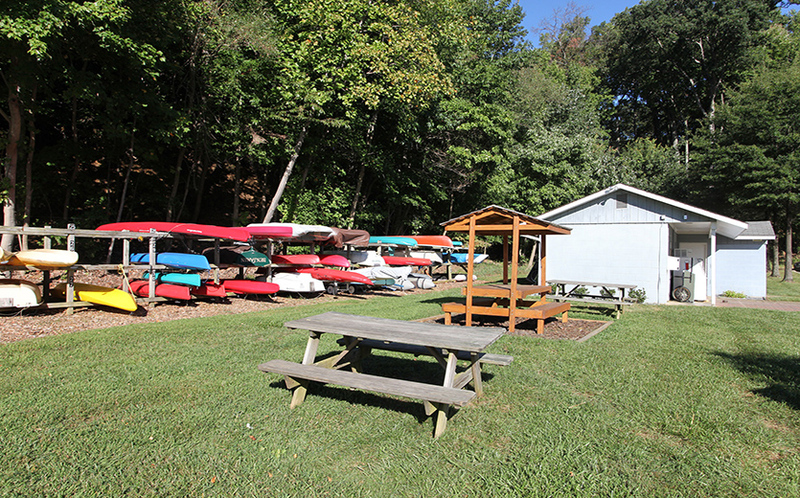 The game room has direct access to the waterside patio. 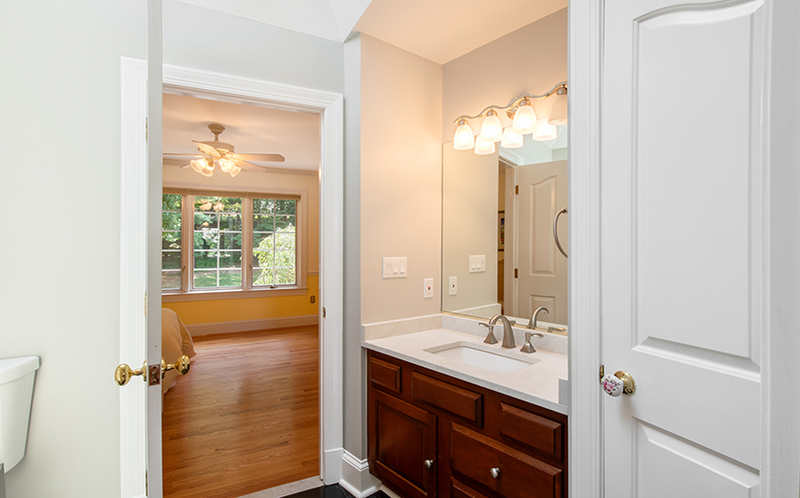 There is also a tiled room off the patio that leads to a full bathroom — a perfect spot for the guests who are headed to the boat or pool to leave their stuff! 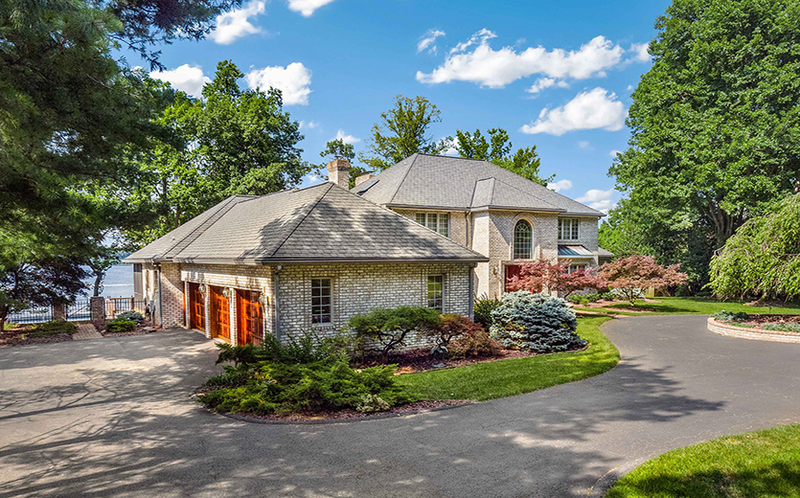 This home has a 25,000 KW diesel generator that can power the essential systems. 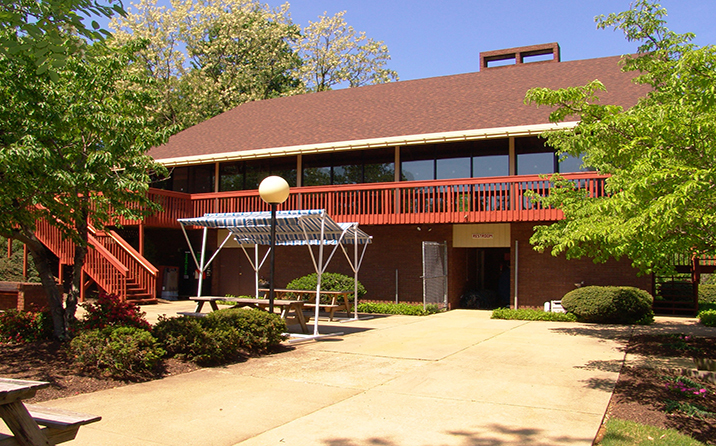 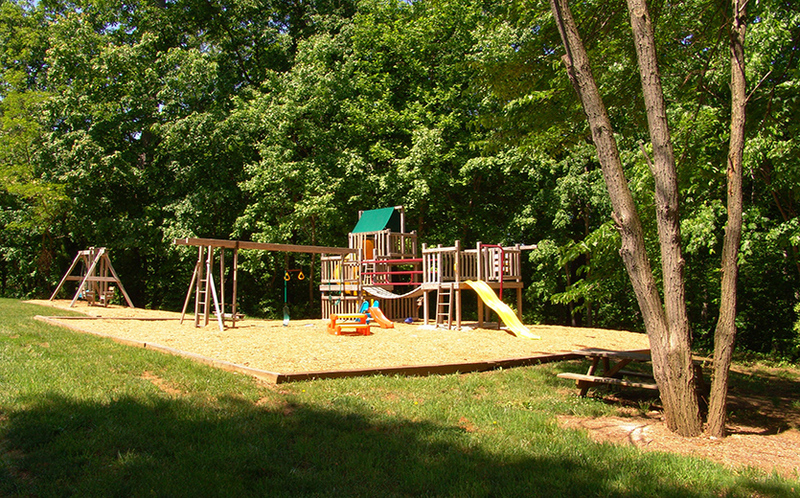 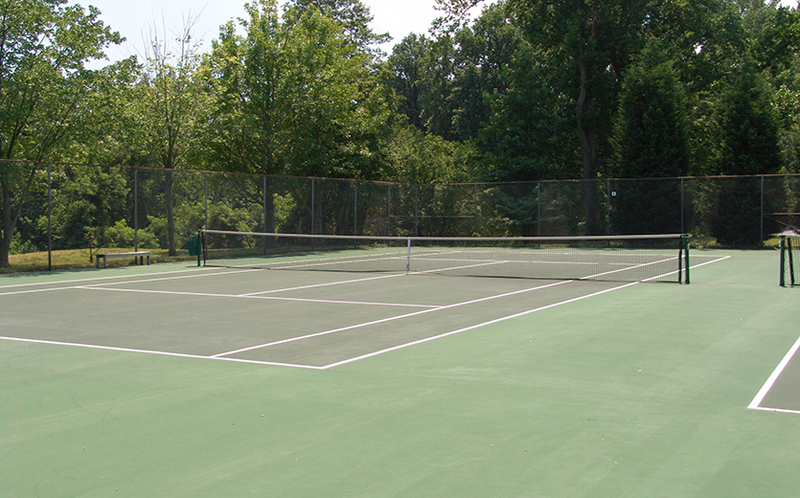 The Downs on the Severn community offers a clubhouse, marina, tennis courts, and playground. 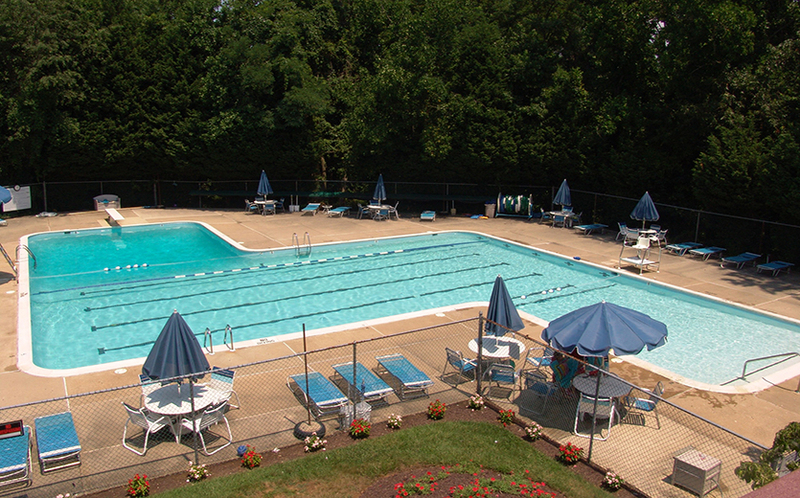 It is a vibrant community, with swim team in the summers and opportunities for neighbors to socialize. 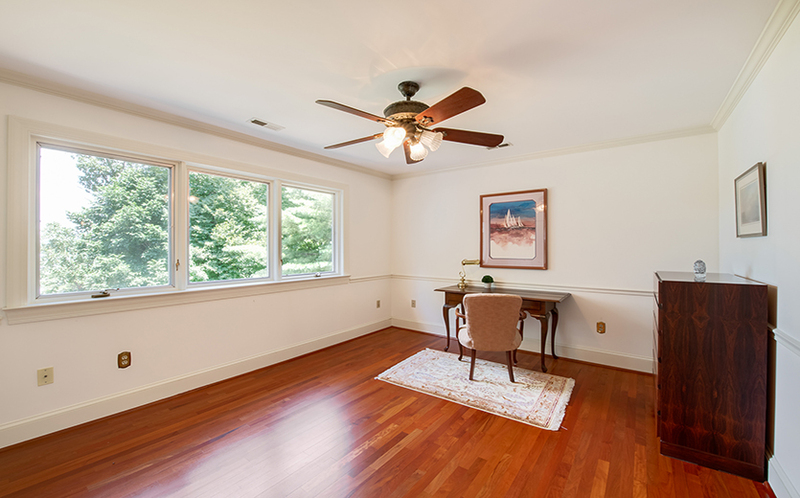 It is also in a super convenient location, minutes to commute routes or the Annapolis Mall.